Stephen Cornford is a media artist and experimental musician who works by reconfiguring consumer electronics into expressive and reflective devices as a means of critiquing the ideologies they embody. He has had solo exhibitions in Tokyo, Berlin, Brighton, Bergen, Ljubljana & London and his work has been included in group exhibitions at the ZKM, Karlsruhe; ICC, Tokyo; Haus der Electronische Kunst, Basel and Sigma Foundation, Venice. He studied at The Slade School of Fine Art and Dartington College of Arts and is currently a PhD candidate at Winchester School of Art under the supervision of Jussi Parikka. Stephen has collaborated with Ben Gwilliam, Patrick Farmer, Samuel Rodgers and Dan Bennett among others and has released music on Senufo Editions, Rumpsti Pumsti, Vitrine, VLZprodukt, Accidie and Banned Production. 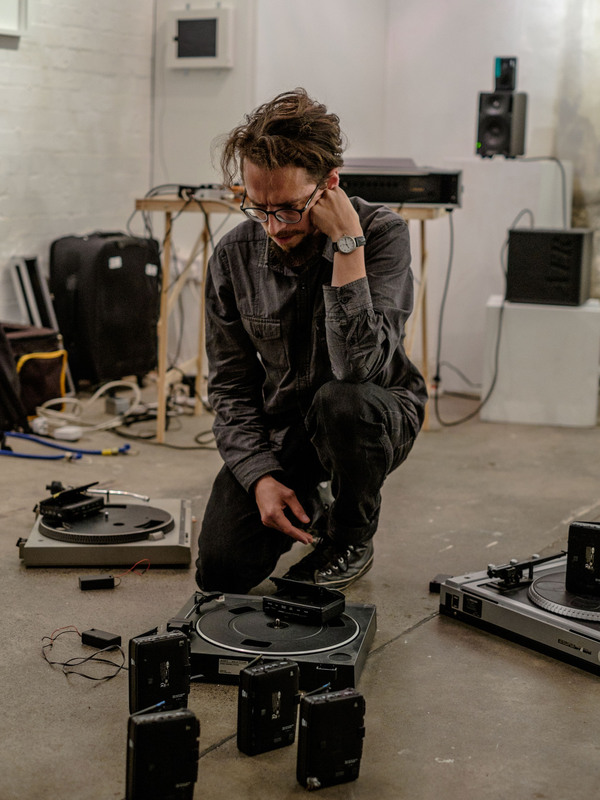 He is the co-director of the Audiograft Festival in Oxford and the Consumer Waste label.